Jose Mourinho says his Manchester United team are “growing up” but says they need to start scoring first in more games. They face another difficult away game on Sunday when they travel to the Etihad Stadium to play Manchester City, and Mourinho is hoping they will not be forced to try and come from behind once again. "We are not a team that gives up. We are a team that always finds a way to fight back, sometimes changing results and other times not," Mourinho said. "We are a team that has that collective spirit to fight back but it is not always possible. "So if we keep conceding goals before the opponent we will arrive at the day where we cannot come back so we have to make sure that we grow up, not just in our approach, but also in our compactness [in order to] start matches well. "Against Juventus, I have to say that happened. We conceded a goal in minute 60 or something like that and we had a good start. I would even say that in the first 15 or 20 minutes we were totally in control." 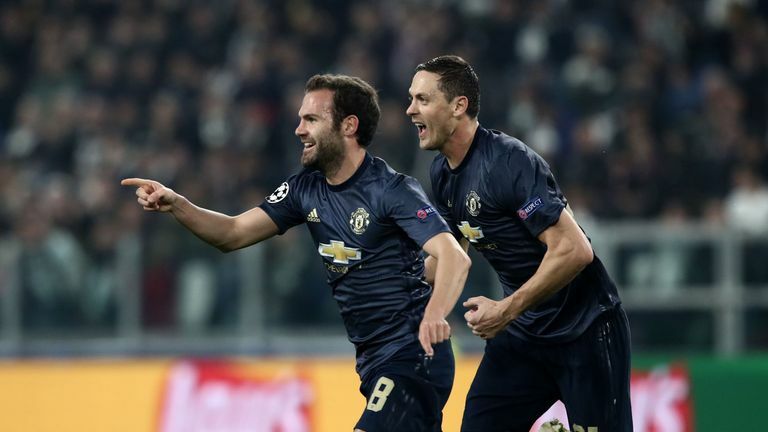 Manchester United boss Jose Mourinho cannot hold back his delight after overturning a Juventus side capable of 'winning everything'. The win over Juventus, and before that a creditable draw with Chelsea at Stamford Bridge on October 20, have helped build United's confidence ahead of the Manchester derby. "We played two difficult matches away against two very good teams, Chelsea and Juventus, and we managed to get good results," Mourinho said. "And even if the good results were not in our pocket, the performances were there. The positive attitude was there so we are going to try. "But Manchester City is a very powerful team." 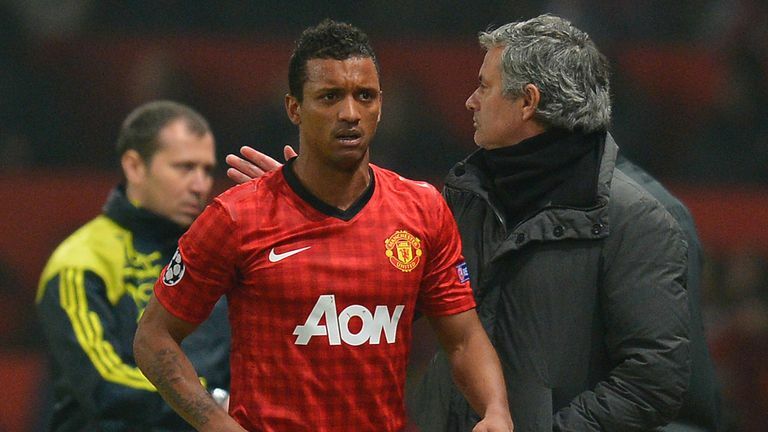 Former Manchester United winger Nani hopes his old side can continue their fine recent form and get back to their former glory. City have found themselves in the headlines this week, with German magazine Der Spiegel claiming the club breached Financial Fair Play rules by channelling millions of pounds of their owner Sheikh Mansour's money into the club via Abu Dhabi-based sponsors. Mourinho was reluctant to address the claims, preferring instead to praise City's work on the pitch. 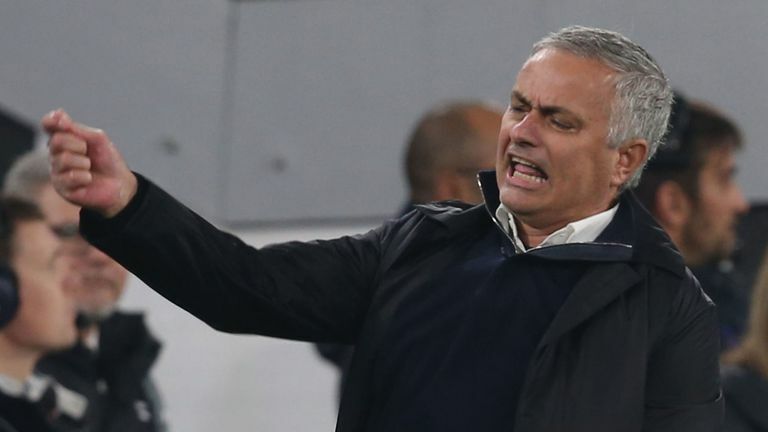 "It is difficult for me to answer because I focus on my job," Mourinho said. "I focus on football. "If you want to speak about their football potential, football potential starts with investment. "After that of course there is the quality of the work and the quality of the organisation and I think that is untouchable. "But what is behind [it] I cannot say." United go into the match seventh in the Premier League, nine points adrift of leaders City. Defeat would leave a seemingly-insurmountable 12-point gap between the sides. Mourinho, however, is not keen to consider the implications of a loss. "I don't think that is the way to look at the match. We have to think just about the match. The match is difficult enough by being a nice, elated event," Mourinho said. "If you want to put that match into the context of where we are and where we can be then it becomes even more difficult. "I just want to play the match. [It is] a difficult match against a very difficult team but I don't think they think it is an easy match for them." Get Sky Sports Premier League to see this weekend's Manchester derby. Find out more.